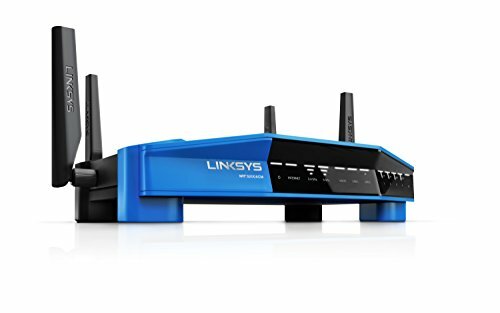 Add enterprise-grade Wi-Fi to your home with the Linksys WRT3200ACM MU-MIMO Gigabit Wi-Fi Router. Equipped with Tri-Stream 160 and MU-MIMO technology, this Wi-Fi router can deliver blazing-fast Wi-Fi performance to multiple devices simultaneously. This dramatically expands the router’s speeds, so you’ll enjoy high-speed, responsive performance even when your home Wi-Fi is under heavy usage.